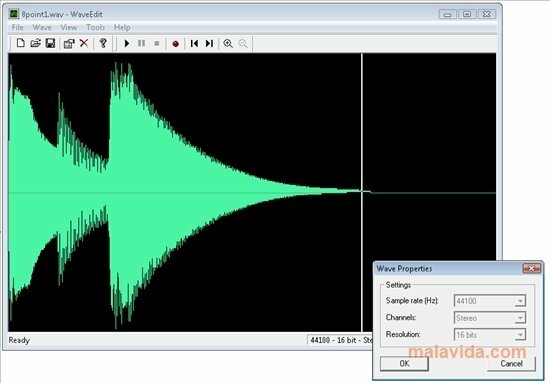 WaveEdit is a program developed to perform small modifications to WAV/WAVE files, without requiring advanced knowledge of professional audio applications. The main problem of this tool is that, due to how simple it is, it is only capable of working with a single format, and it doesn't have advanced editing tools, like filters, equalizers or dynamic signal processors. The interface is rather simple and practically doesn't have any control outside of the main window, so due to this it won't be necessary to move around complex menus to cut a file, record a feed or load a sample. 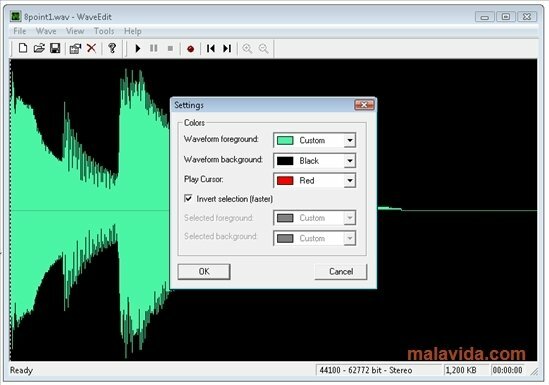 One of the most appealing features of this program is the zoom function, thanks to which it is possible to detect the slightest error in the sound wave of any file and easily eliminate it. 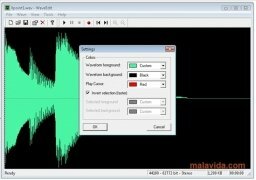 If you want a program that will help you to complete small modifications to your WAV audio files, download WaveEdit, a simple program that can turn out to be really practical.